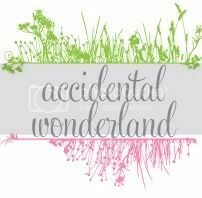 Accidental Wonderland: Anxiety, My Story. Part Two. Anxiety, My Story. Part Two. can be found over at Mum's Lounge right now. It's very personal and I would like to thank Jolene for featuring me on The Billboard with other amazing bloggers. Please go over and show some love. raw, compelling, sad, enlightening, touching, thought provoking, nurturing, teaching. I'm sorry you have had to feel so much anxiety in your youth. You are so strong to teach us about this topic - so brave.